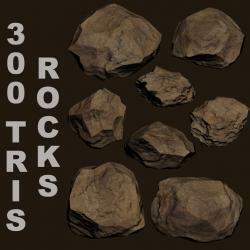 A few low poly rocks, with normal maps baked from their high poly counterparts. 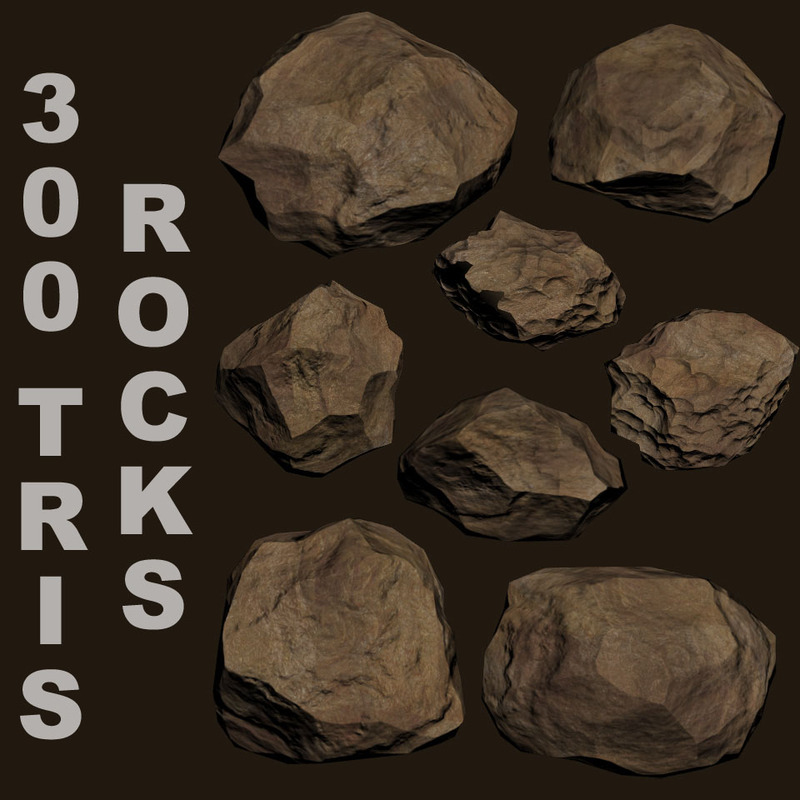 They lack a diffuse texture, in the preview picture I just slapped on one of my many rock textures (some of which I also uploaded here on OGA, feel free to grab them). - formats: obj, tga/dds - 150 polys / 300 tris - 4096x4096 normal map - no diffuse texture :( I do have more, ...but I'm hoping that they prove useful and perhaps someone might be willing to do some proper textures for them? I'm new to 3D graphics, what program do I use to render these? Would Blender do it? That's ok, I just want to use them to create rotating asteroid sprites for my 2D space shooter game. I actually think they look good in your preview image. Would you be willing to render me a rotation loop of one of them? Time to "Rock and Roll" ... YEAAAHHHH!! Srs nao, this is good. Para, if I could get a sequence of 32 frames like your preview GIF, but as PNG images and 512 or 1024px square - that would be AWESOME! Thanks, those are awesome!! 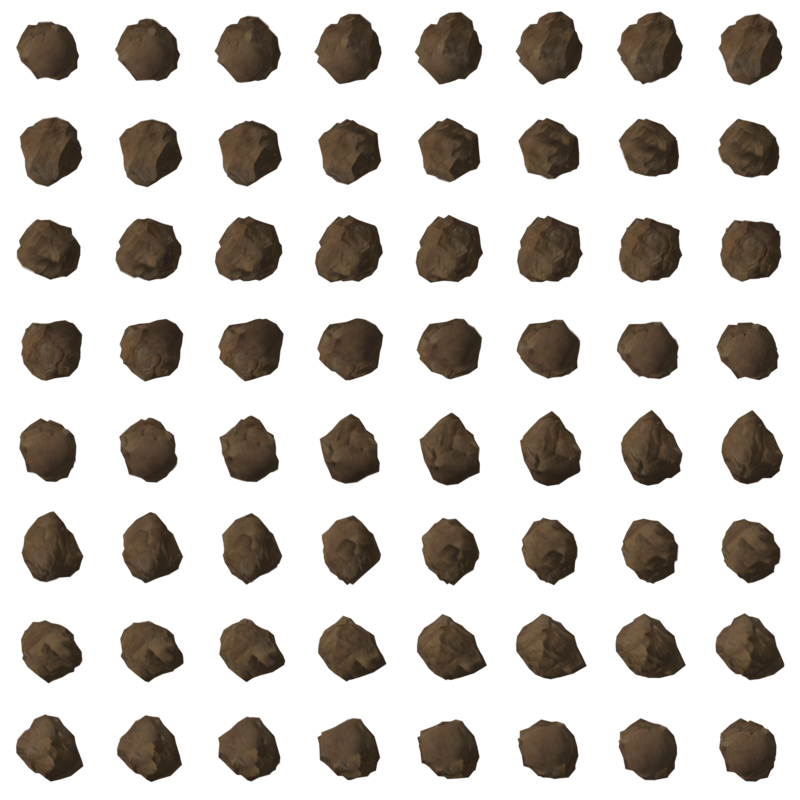 Looks like rocks_rotated.png has a frame size of 256x256, which is awesome! I'd love to see some higher-res renders, with each frame 512 or 1024 even! And also you can see your name in credits. This is just what I was looking for, Nice Work Para. 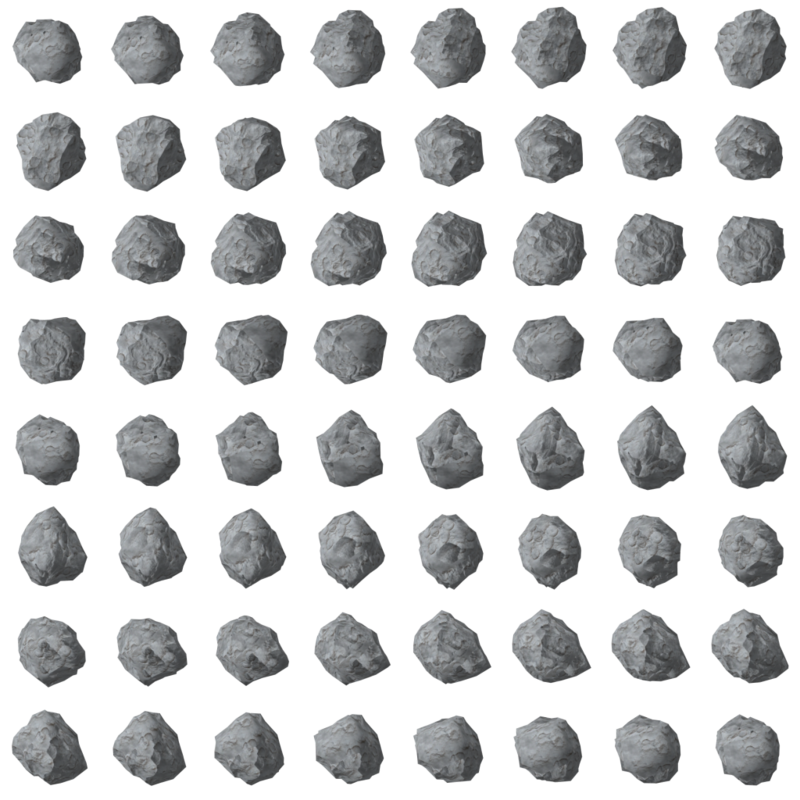 I wanted to let you know that I used the animated asteroid sprite sheet in my training videos on video game development with Unity. is there any way i can remove the shadows ?